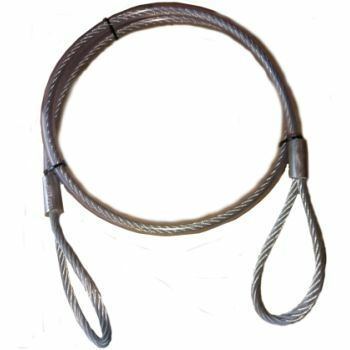 This 10mm zip wire strop is made from Galvanised steel wire with a soft eye pressed into the strop at either end and is spun in a 7x19 construction and now comes covered in a 3.5mm thick thermal plastic tubing (TPT). These are made to order, cut and despatched directly from our UK specialist manufacturer. This means that the wire has a diameter of 10mm and is constructed by spinning 7 strands of wire - each strand itself being made from 19 strands - together to form the actual cable. 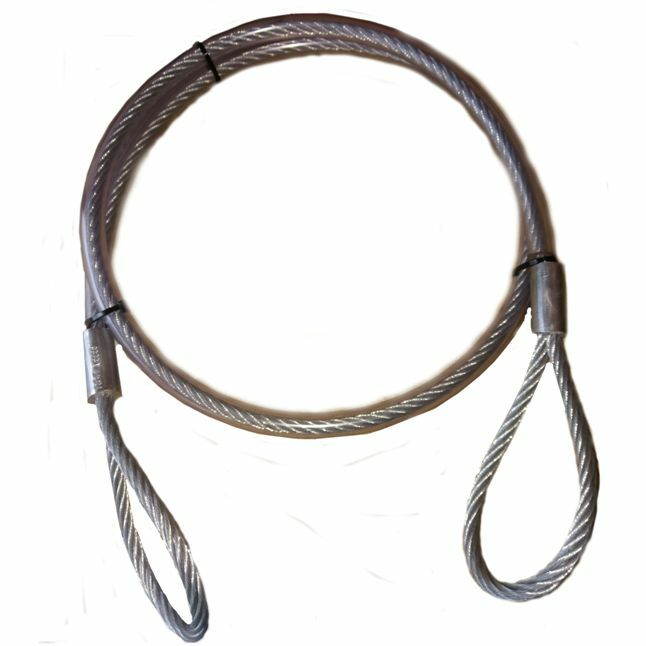 This is what gives the zip wire cable its flexibility, durability and great strength. The idea of placing a strop around a tree is to create a good strong anchor point onto which you can attach the wire for the Zip wire via a turnbuckle tensioner. To give this anchor point added strength you need to allow for the strop to wrap around the tree more than once. So ideally measure the circumference of the tree with a soft measuring tape and then double the amount measured. Depending on the circumference of the tree, add on a minimum of 0.5m (1' 8") to allow the ends to meet.